The Centre receives around 50 adults a day and is often the first point of contact for many people setting out on their journey of recovery. The project provides a safe environment with a wide range of support services for the homeless, those with alcohol/drug misuse issues, ex-offenders and otherwise socially disadvantaged adults. Services include hot meals, accommodation advice, access to on-site medical professionals (GP, Blood-borne Virus Nurse, Practice Nurse and Chiropodist), support and advice with welfare benefits, outreach and tenancy support, showers, clothing, relapse prevention, referrals and signposting to other strategic local agencies, some co-located on-site, as well as to other projects within the organisation. All Nations Ministries has continued to develop its weekly drop-in service to homeless and vulnerable people in addition to providing a once monthly shared meal on Friday evenings with live music from young people. This service provides a safe and non-judgemental environment for people from low income and disadvantaged/marginalised backgrounds to meet together and enjoy a hot meal and friendship and a chance to access useful information and obtain free toiletries and clothing. The project has welcomed 80 people on a regular basis each Tuesday lunchtime from 11:30am – 2pm and around 120 people each 2nd and last Friday of the month from 7-9pm; there is also a drop-in from 4-6pm on the 2nd and 4th Sundays of the month. Gaffer’s Café is open 1-2pm Mondays and Thursdays for company, free food and advice. The Plymouth Foodbank is helping people who are in financial crisis by providing them with much needed food and also a listening ear and useful advice. The Foodbank operates on a referral system whereby professionals working in education, housing, advice services, health services, charities etc can give vouchers to those in short term financial crisis whilst they help them in various ways themselves. DCFA is not a Foodbank. Foodbanks issue food to individuals whereas DCFA issues only to charitable organisations that feed the disadvantaged in our communities either by providing cooked meals or by issuing food parcels. Foodbanks obtain their food from supermarket customer donations. 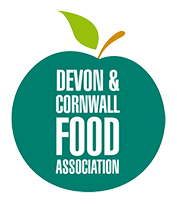 DCFA endeavours to obtain surplus, short-date or end-of-line stocks from producers, manufacturers and retailers… food that might otherwise go to waste. This alleviates food poverty and food waste and saves suppliers landfill tax too!